President Donald Trump meets with Saudi Crown Prince Mohammed bin Salman in the Oval Office of the White House, Tuesday, March 20, 2018, in Washington. The United States will soon suspend its mission to re-fuel Saudi Arabia’s military aircraft flying in Yemen, according to two U.S. officials and one Senate staffer. 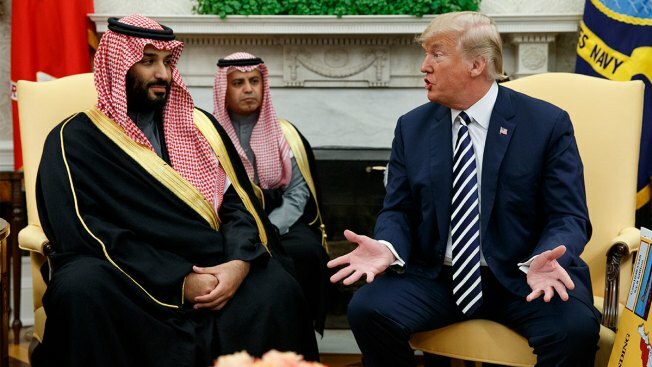 Saudi Arabia is expected to announce it no longer needs U.S. tankers for the mission, placing the decision for the change on Riyadh rather than Washington, NBC News reported. A Senate staffer said the decision is a means to pre-empt a potentially damaging debate and vote in Congress.